We are excited to partner with BoatTest.com, the leading on-line source for informative and objective boat reviews of all sizes. The 34th annual Palm Beach International Boat Show, March 28 - 31, 2019, is one of the top five boat shows in the country. The show will feature more than $1.2 billion worth of yachts and accessories, including hundreds of boats ranging from 8-foot inflatables to super yachts nearly 300 feet in length. In addition to the large selection of boats and exhibits, the show offers fun and educational activities, including free youth fishing clinics by Hook The Future and IGFA School of Sportfishing seminars. Attendees will also enjoy live music and refreshments at the show's famous floating cocktail lounges. Guests are invited to come by boat and may tie up to free docks located south of the in-water displays. 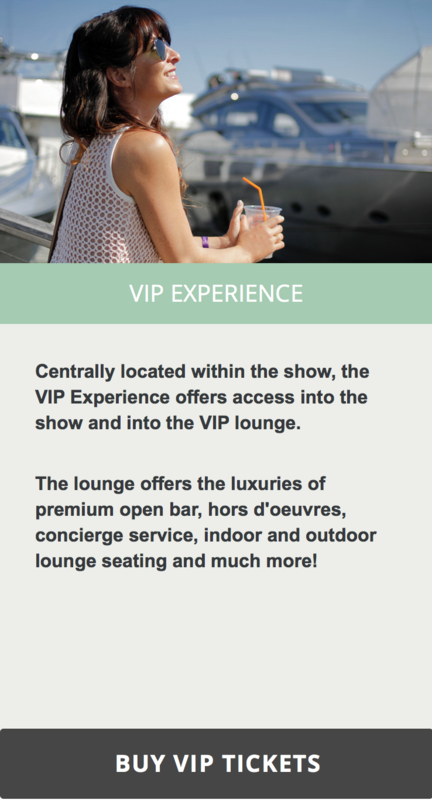 The show’s Windward VIP Experience includes admission to the show and VIP lounge featuring a premium open bar, hors d'oeuvres, concierge service and indoor and outdoor lounge seating. We here at VesselVanguard are pleased to partner with BoatUS. We have the same commitment, to make the boat ownership experience safer, smarter and of course more fun. Thank you for following us on Twitter. Our mission is to simplify boat ownership so that more people can enjoy the lifestyle. The digital tools that we make available are designed to suit the needs of boat owners, boat manufacturers, fleet operators, and service providers around the world. Today’s boat, regardless of size, is the most complex asset that most of us will ever own. The information and actions enabled within VesselVanguard simplify that ownership, keep you informed of needed tasks, and provide peace of mind. As one of the family here on Twitter, we know that new and valuable things in the world of boating are important to you. We would very much like to hear your feedback on our marine maintenance management app. Would you be so kind to try out our demos by clicking on the links below? To learn more, take a moment to visit our web site at www.vesselvanguard.com There you will see features and benefits, the most commonly asked questions about VesselVanguard and the positive things that real life users have to say. West Coast Partnership underway! Svendsen’s Bay Marine is happy to announce that they will be introducing the VesselVanguard digital maintenance management program to their customers.